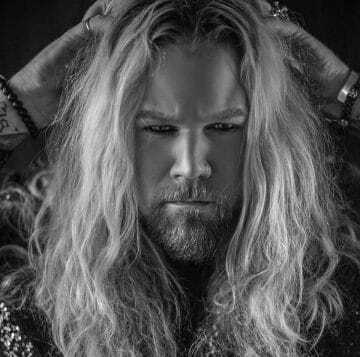 It’s a sad day for Inglorious and rock n’ roll fans in general as Inglorious‘ frontman Nathan James had to issue a video statement outlining some of the inappropriate remarks that the band has received since announcing that three of its five members (guitarists Drew Lowe and Andreas Eriksson and bassist Colin Parkinson) were departing the band and that one replacement (guitarist Danny Dela Cruz) had been found so far to continue with James and drummer Phil Beaver. “Hi guys — It’s me, Nathan James. I wanted to read this statement. Over the past few days, a number of things have come to my attention and left me really concerned. In recent posts regarding our line-up change, I’ve read personal and threatening remarks, the most appalling of which have been the tweets that I have seen concerning my sexuality and the race of our 19 year old guitar player. I was under the impression that everyone here was a decent rock loving human being with a big heart and love for music. It appears that I was wrong and this behaviour is not welcome on our page. You follow this band I started five years ago for the love of our music and we feel truly let down that we are receiving this kind of abuse. It is cyberbullying and it will not be tolerated. We know people are angry, upset and confused but these words are affecting our families, our friends and members of the bands, both past and present.